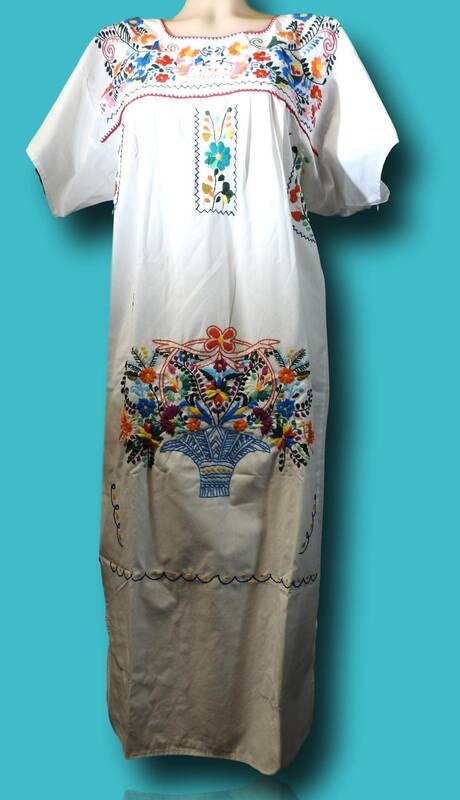 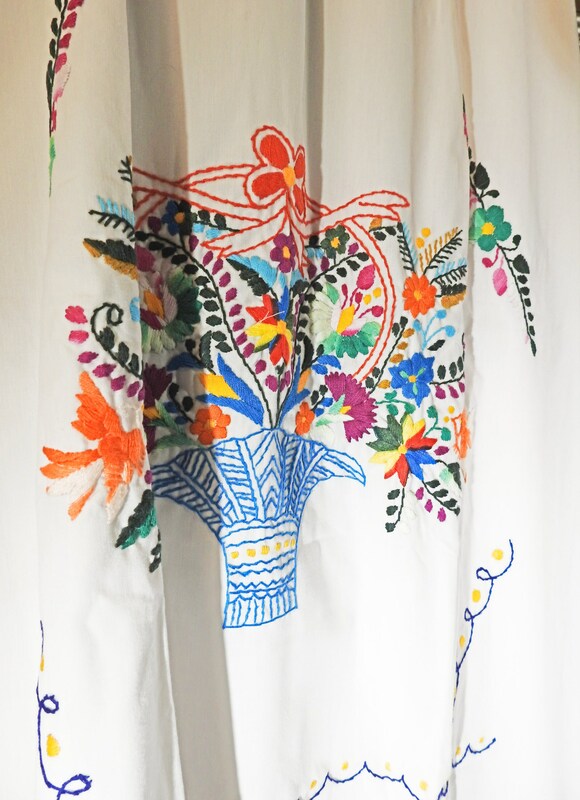 Be a bohemian fashionista and wear this vintage and white Puebla dress for woman! 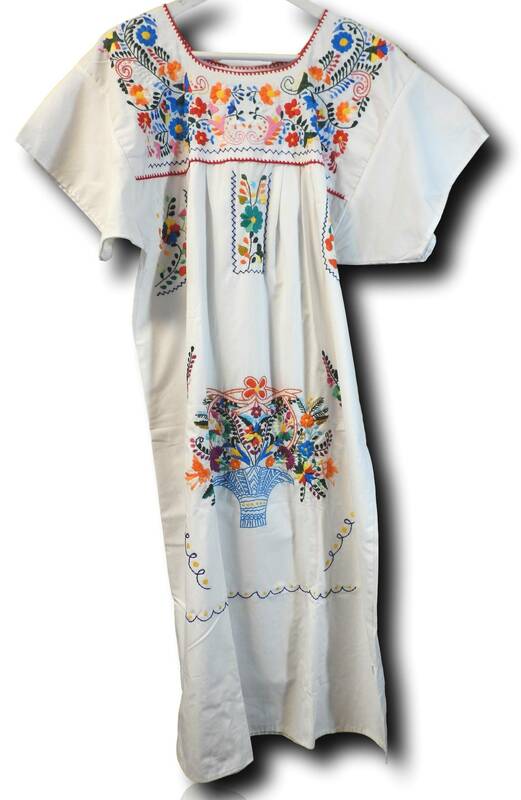 This comfortable embroidered Mexican flare dress is the perfect outfit for the summer. 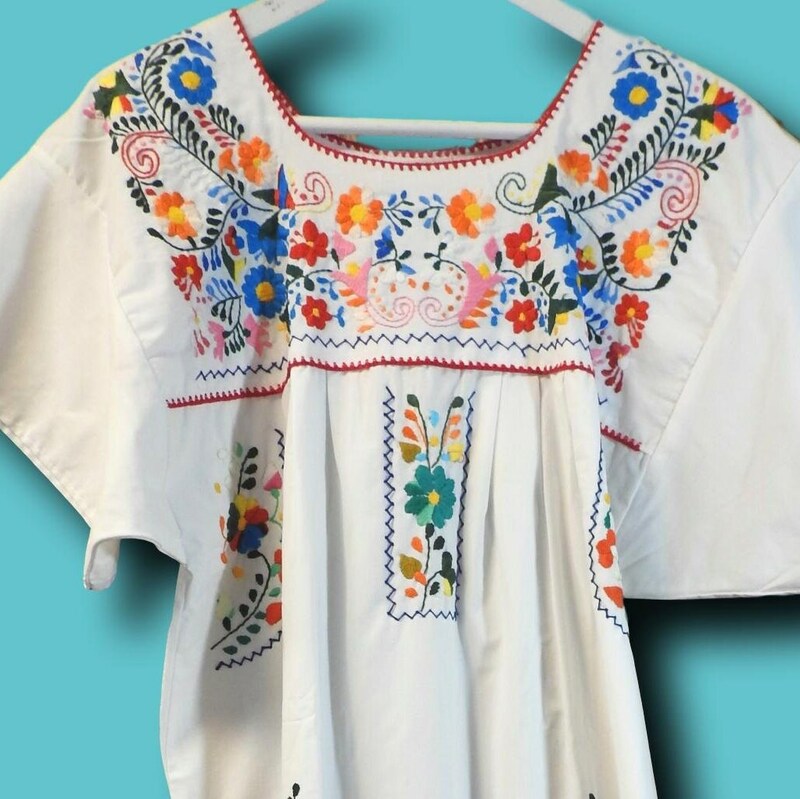 - Handmade in Puebla, Mexico. 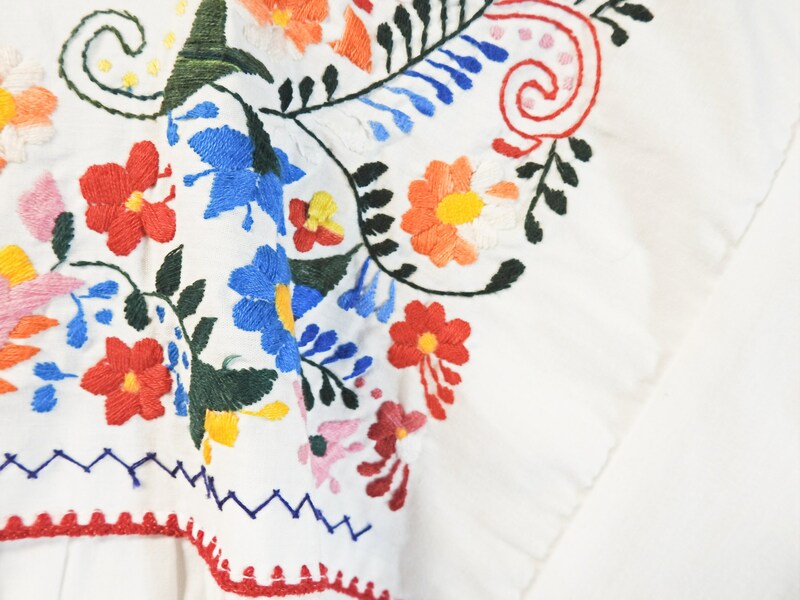 - Authentic vintage from southern California. 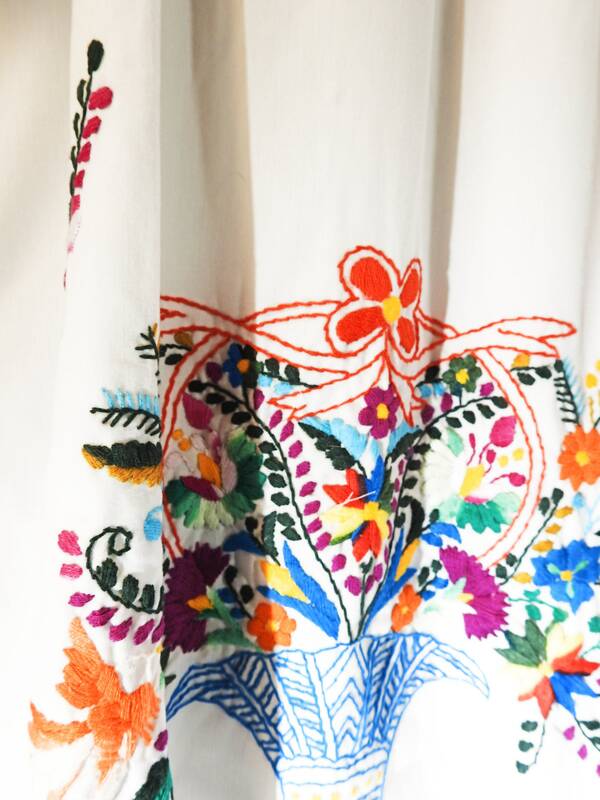 - Style: Trapeze flare dress. 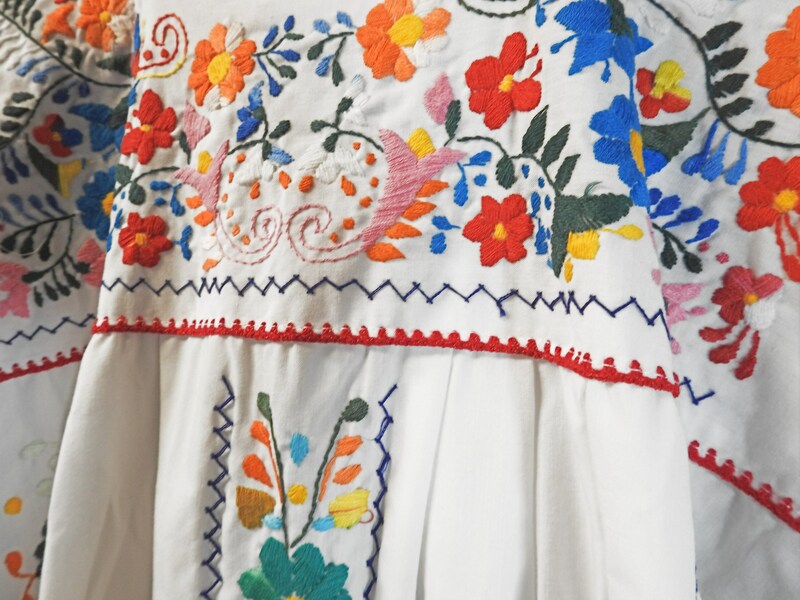 - Color: White with orange, blue, yellow floral embroidery. 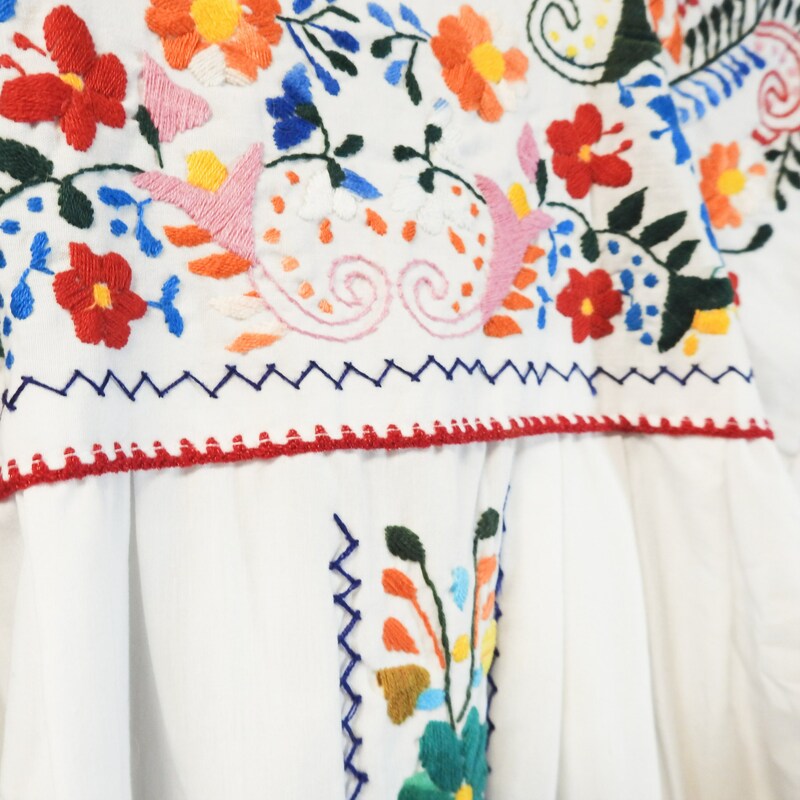 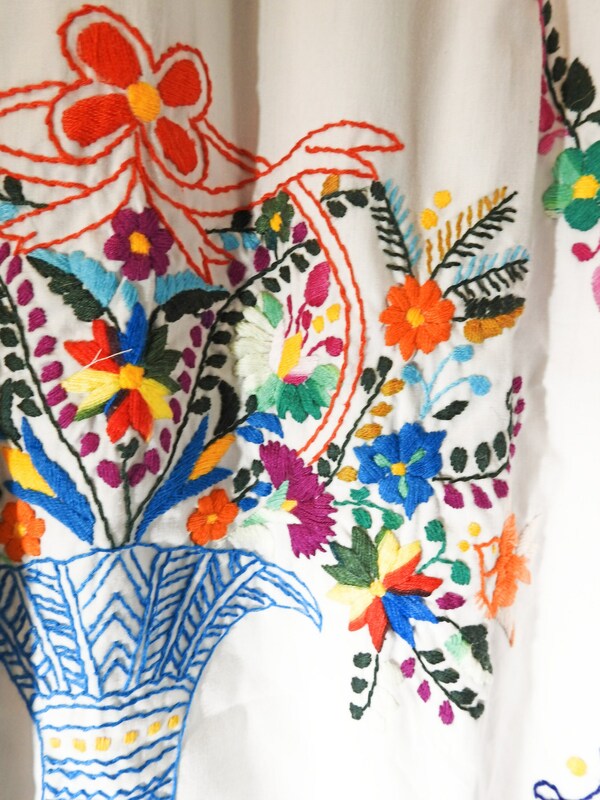 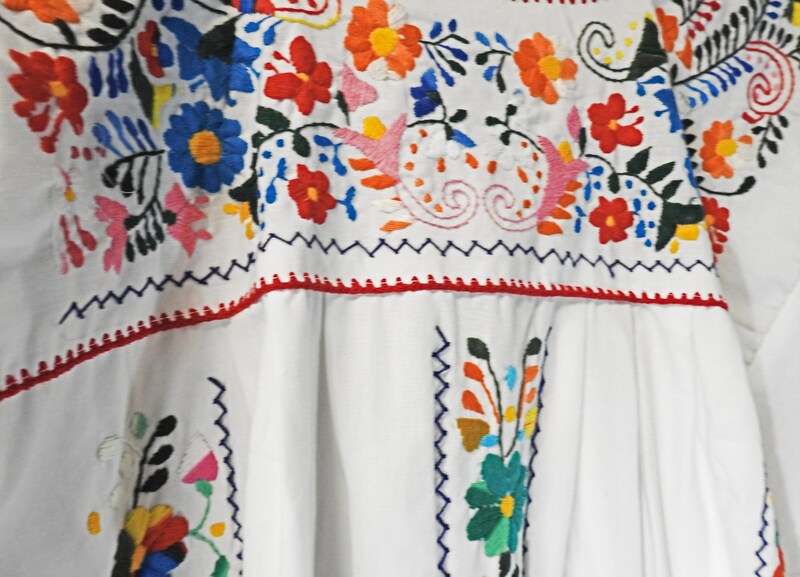 Thank you for exploring my Mexican dresses collection and this darling Mexican festival dress!